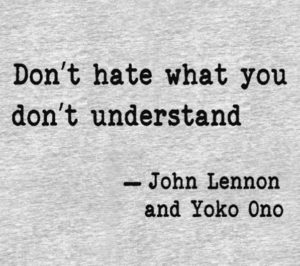 “Don’t hate what you don’t understand.” I read these words and they had such an impact on me. When I think of my frustrations, what they really are is me hating what is. Why would I hate what is? Because I don’t understand it. If I did, I wouldn’t be frustrated. Often I come to an understanding after I hate something, then go no further as I wrap my understanding into a pretty box with a bow (so to speak). This may help me in the moment feel better… and in each moment that same frustration comes up again, I dig up my personal understanding, apply it, then I’m able to feel better – and this cycle can continue for months, years… a lifetime. This requires a lot of effort and is not effective in truly ending my ultimate frustration. Is how I understand “what is” the truth? For example, does that person really not care? If that’s the truth then I feel pain… pain… pain. Perhaps the truth is the person does care, on some level, but is in a place in their own life, their own journey, that they cannot show it. To dig even deeper… they cannot show it in a way that feels like care to me. Digging deeper… what feels like care to me is a personal preference of idealism based on patterns of thought over time that equate certain words… certain actions… to mean care. And upon reflection, soul searching, digging for the true root of my pain, a shimmer of truth shines through my rigid thoughts, attempting to pull the weight off my shoulders and my heart. This truth overrides my other real truth. Why do I say real? Because the pain is real… it feels so real. It sometimes turns to anxiety and anyone who has felt anxiety knows the physical, scary effects of it. There is this other truth though. The one that makes me feel lighter, more hopeful, rings true in my soul. My first answer to the example of “does that person really not care?” I answered that perhaps they really do. But what if the truth is, they don’t? What if the truth is you simply have no evidence in words or action that this person cares about you? If that’s the truth, then it’s the same thing – pain… pain… pain. So where’s the shimmer of truth? Where’s that light to hold onto that lifts the pain by removing the weight pressing down on your heart? If the real truth is that I think and feel that someone – someone important to me – perhaps even someone I love – doesn’t care about me? The pain is real! Don’t tell me it’s not! That I would not wish that pain on anyone. That kind of pain can last a lifetime for people who feel it – even when they avoid it – it’s there. They know it’s there because they cannot be around that person who doesn’t care. And often that’s the best choice for your own life and you must honor it. How do you not avoid when you do not see or talk to that person anymore? Because it’s not about proximity. It’s not about whether you have verbal communication. First, how do you feel in your body when you think about that person? Do you tense up? Get a headache? Do you become angry? Sad? Or peaceful? Anything other than a peaceful response means you’ve been avoiding that person instead of embracing the shimmer of truth. The shimmer of truth will set you free. It will enable you to think about that person without feeling triggered… without suffering. Remember how it feels inside when someone doesn’t care, or when you truly believe they don’t. Focus on doing your best in your life to show care to others – to anyone that comes into your presence in life. Even if the way you show it is a kind thought going their way. This is a start, but it won’t help you with how you feel about the person who doesn’t seem to care, which means you cannot experience peace… only moments here and there… but not lasting peace. Every night, imagine that person – that person who you’ve suffered for so long at the mere thought of them – imagine them in pain… the same pain that you’ve been in… know that they – like you – are human and are not immune to that kind of pain. You may not know their story, but in the end, stories don’t matter. What matters is we can relate to anyone on a human level. Pain is pain. Imagine that person – that person who doesn’t seem to care about you – imagine they are smiling and enjoying their life and giving and receiving love, wherever they are. This may be hard to do. But you can do it. You can do it because true love is unconditional, expansive, and totally freeing and every human has the capacity to love like this. True love does not exclude… anyone. You don’t have to be in contact with the person if you don’t want to. You always have a choice in that regard. Honor your choices because only you are in your body. Only you know what’s best for you. You may feel a sense of freedom when you make a choice like this. But it will not last unless you are able to see this person as a human being – just like you – without judgment of whether the person is “good” or “bad”. Picture them as a child. They were small once. Innocent. We grow up in this world and life happens. No one is immune. We are all innocent – even now as adults. We just have a hard time seeing it in ourselves, which means we cannot see it in others. Wish well to all. Do not discriminate. In your quiet moments, imagine the people you feel hurt by, and imagine them well… smiling… gentle… healed. Because you sending them love means you expand. You giving, means you receive. And those people who you equate with causing you pain – know that no one really has that power. And knowing this is power. It means you can choose again. You can choose every day, before you close your eyes to sleep, to practice the exercise of wishing everyone well – in detail. Notice your reactions to it and don’t judge yourself. Just notice your reactions and how you feel without trying to change anything or figure anything out. There is nothing to figure out. You’re just practicing opening your mind and heart. Remember to include yourself in this nightly exercise because you’re just as important – no more no less – than anyone else. It’s easy to forget this. 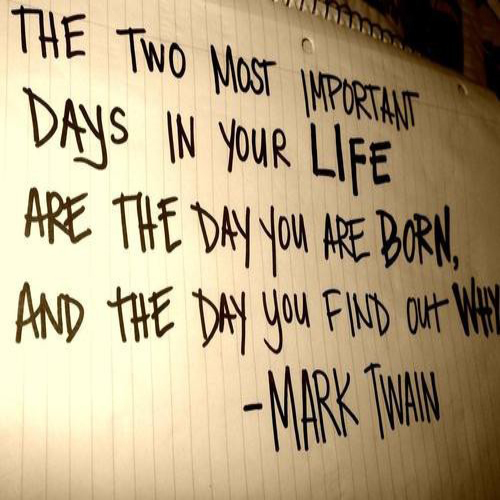 We must remember how important we are. You matter… so much. You will soften. You will be willing to accept “what is”. You will be so grateful for your open heart because you’ll finally understand what abundance really is… and what love really is. You being loving – to all – in action with those who you choose to be in your life, and in mind with those you’ve chosen not to have contact – creates more space inside you to be you. And that is the shimmer of truth to focus on – the real you – that human who does her best with what she knows. That innocent child who hasn’t yet been hammered by life and is still connected to everyone… and who is joyful and feels her emotions and loves herself, which is why she is able to shift so well through all her emotions, coming back to joy in a moment. Can you imagine yourself free like this? You can then forgive every human you’ve ever known… no matter what the story is. You can forgive the flaws of their humanity, because you know what pain feels like, and you know what it’s like to make mistakes, and deep down, you know you really do care, yet – just like many others – sometimes you can’t show it in a way others need you to show it in order for them to feel that you care. You don’t intend to hurt others, but sometimes you do, and often you’ll never even know because people have a hard time processing and articulating their pain… as do you. So simply allow yourself to soften… loosen your grip… and in your quiet moments, pray for help to forgive those who you resent… and include yourself in your prayers because you’re an imperfect human too, with a different story, a different level of awareness, a different understanding, and a huge heart to tap into… where freedom and peace awaits.